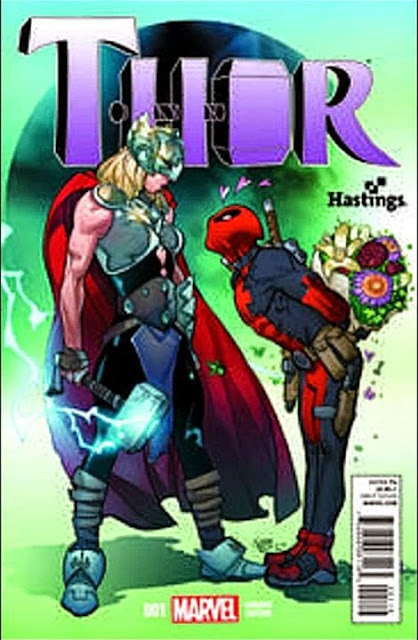 A Deadpool variant cover for Thor #1, which comes out 10/01/14, has been revealed. The cover is exclusive to the retailer Hastings. Thanks to PoolFan for the tip.